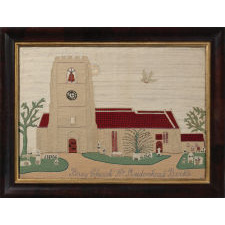 A large and very handsome needlework picture, this is entitled “Bray Church Nr. 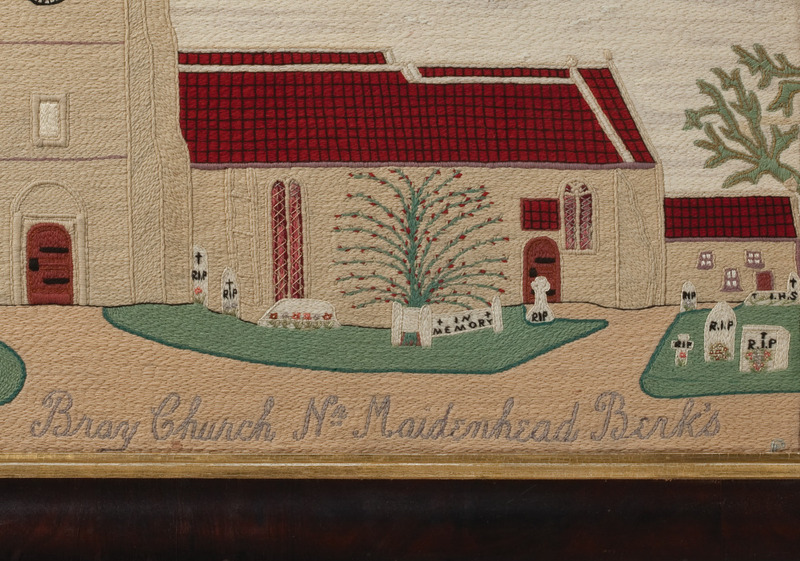 Maidenhead Berks” and the subject is the wonderful, famed medieval church built in 1293. Located six miles from Windsor Castle, its patroness was Queen Margaret, wife of Edward I. The massive stone bell tower, which dominates the architecture, was added circa 1400 and the church remains virtually unchanged today. 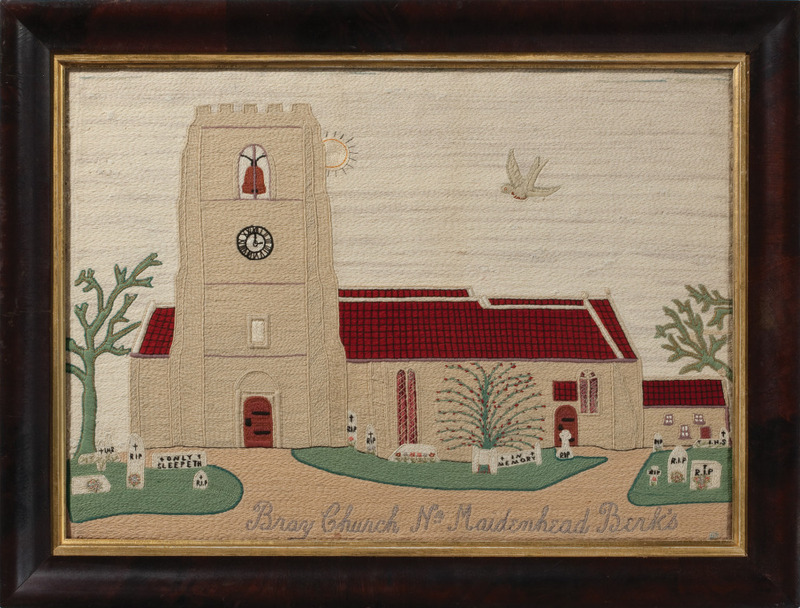 This was worked in a tradition closely related to 19th century sailors’ woolies but instead of the commonly used long, loose wool stitches, this is formed with tight, small stitches, creating an excellent texture throughout. 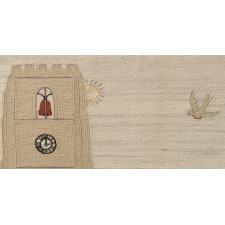 Details include the church’s graveyard in the foreground and a sun and large bird in the milky blue morning sky. 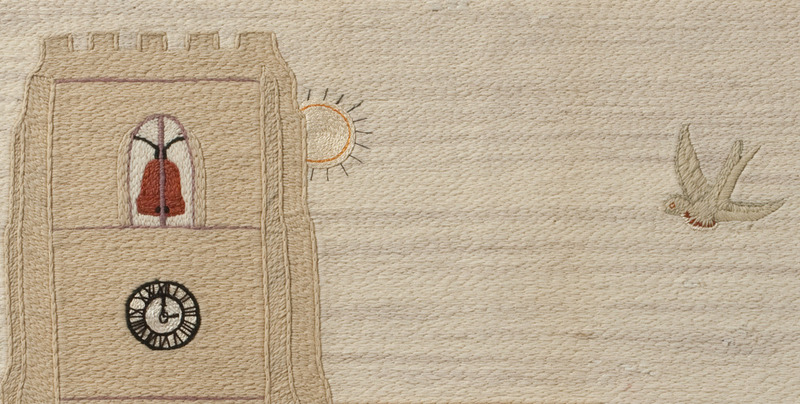 It retains much of its original color as evidenced from a photo taken of the reverse. 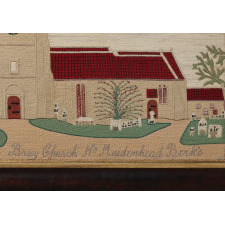 Worked in wool and silk, this is in excellent condition and has been conservation mounted into a 19th century frame.